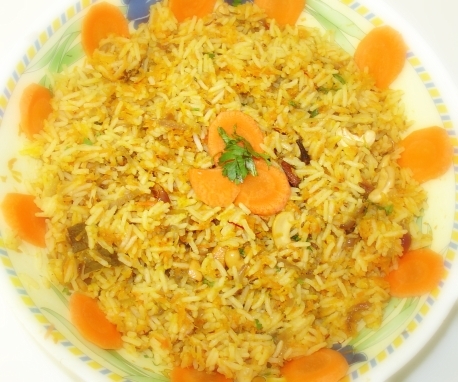 looks like a very healthy and yummy pulao! will try it. thanks for the tip @ nutmeg & carrot. 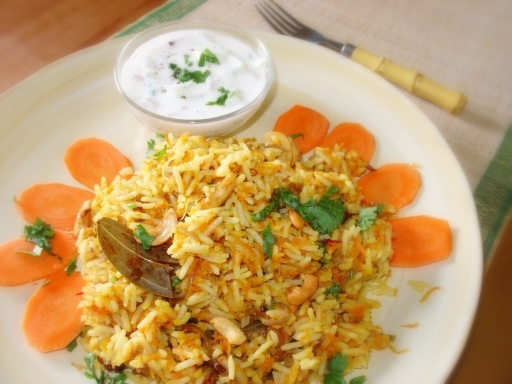 the carrot pulao looks delicious. love the color, perfect for springtime! looks real delicious pulav. love the color! 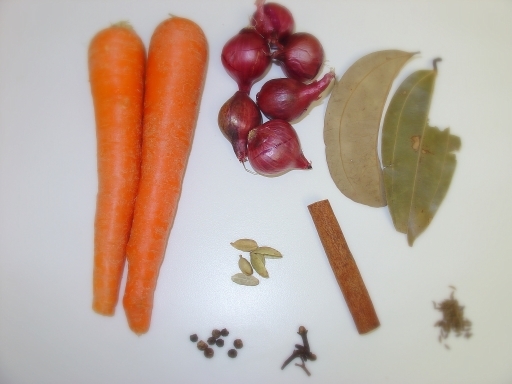 Thanks Asha & Richa, Nutmeg adds spice to dish. I love its taste. You can use ground spice powder instead of whole, but I like to use whole as it does not overpower the dish. Thanks Suma, Mandira & Roopa. Yes Sandeepa, I remember Mahi posting carrot rice recipe. Hi Padmaja, First time in your blog. You have a great blog with beautiful pictures and delicious recipes. Love all your andhra recipes. Will bookmark your blog for frequent visiting. 🙂 Thanks. Very good recipe.will surely try this. Hey Pavani Thanks for dropping by. I’m glad you enjoyed my virtual kitchen. I would love to try this! I think I have all the ingredients here too! I’ll let you know when I make it! Hi Priya, Nice looking pulao. lot of Pulao varieties in a row!! Loved your pic.